From Chinese emperors to colonisation by the Europeans, a journey through time is waiting. Past, present and future will intertwine and present you with a wonderful contrast between tradition and modernity. You will discover the natural and cultural beauty of this country, the bay of Halong, traditional villages and its heartwarming encounters, the imperial city of Hue and the perfume river… A unique journey for the senses. Meeting at the airport with the group. Departure towards Hanoi with Vietnam Airlines. You will be welcomed at the Hanoi airport by your guide and will be transferred to your hotel by bus. Free time to relax and to familiarise yourself with the country. In the afternoon, a walk is planned so that you may discover the historic district of Hanoi. Welcome dinner and night in the hotel. 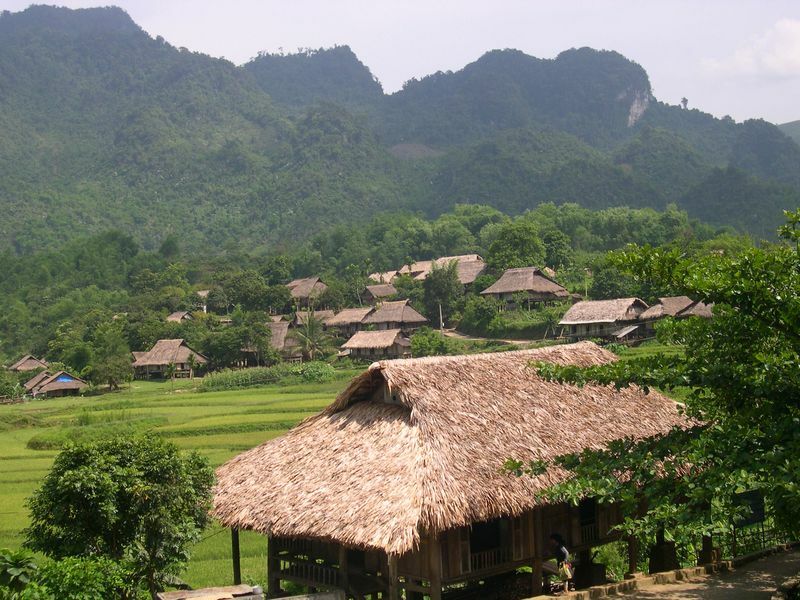 Today you will be travelling to Mai Chau, to get there you will go through the spectacular mountains of the north, where you will be amazed by the beauty and the peacefulness of the countryside. 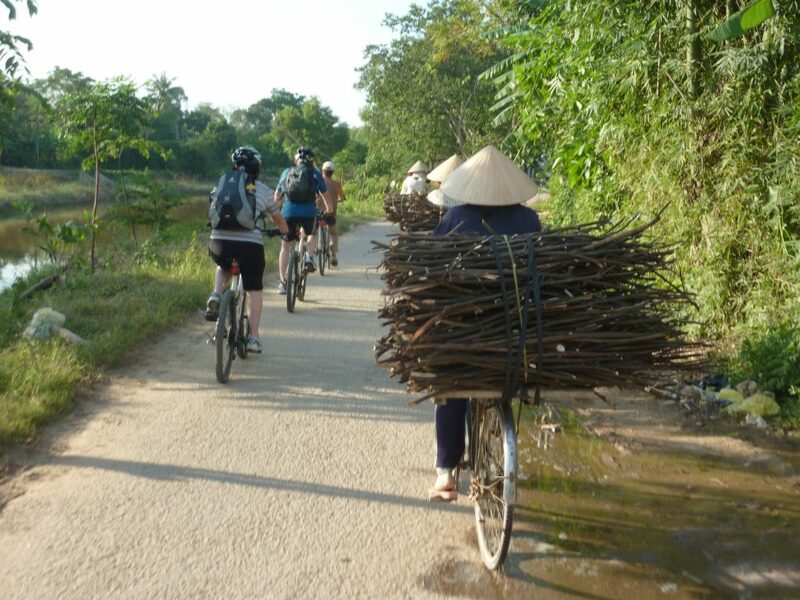 Departure from Mai Chau on a magnificent bike ride. Lunch with the locals. 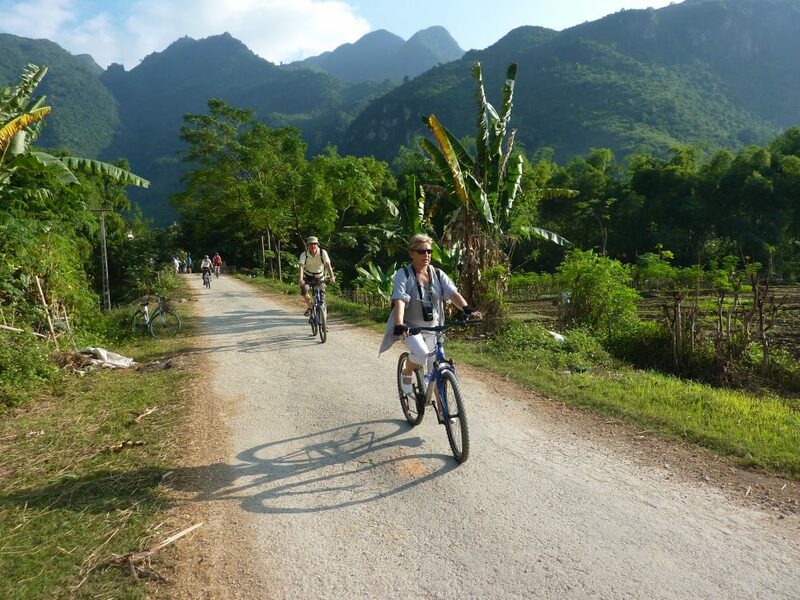 In the afternoon you will continue your ride through well preserved typical villages, with their beautiful houses on stilts, along the shimmering rice terraces of the valley of Mai Chau. After your ride, you will be transferred by bus to Pom Koong, where you will be able to attend a traditional dance performance. You will spend the night in a house on stilts in Pom Koong. After breakfast, you will take a bus to Nho Quan. 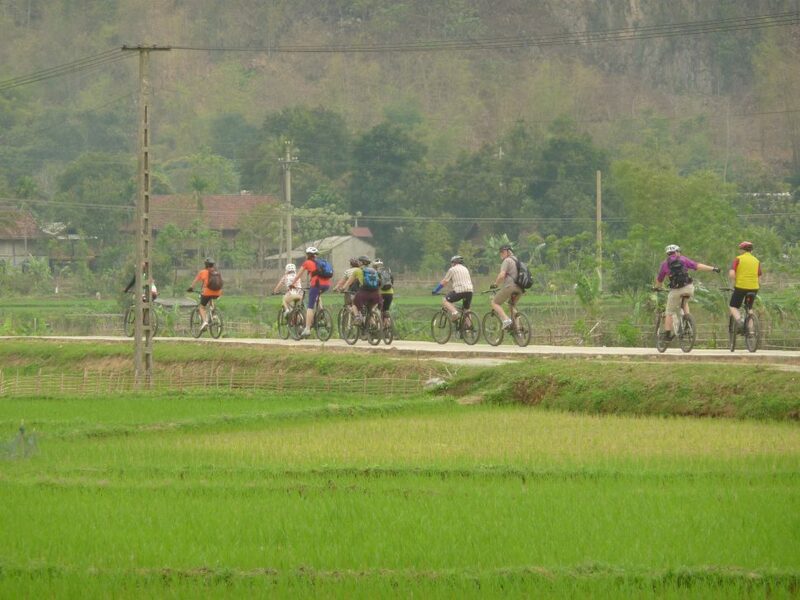 Your ride today leaves towards Tam Coc, through spectacular countryside. You will stop in Kenh Ga, for lunch in a small local restaurant. Your ride will continue through an amazing natural space with splendid landscapes through the limestone rocks until Hoa Lu then Tam Coc. In the evening you can experience a very different type of massage, one done by blind people. In doing so you will support a foundation who aims to help handicapped people be more self-sufficient. In the morning you will be able to experience Halong bay by boat. You will sail in the bay, the mysterious rocks and the paddy fields will stream past your eyes. 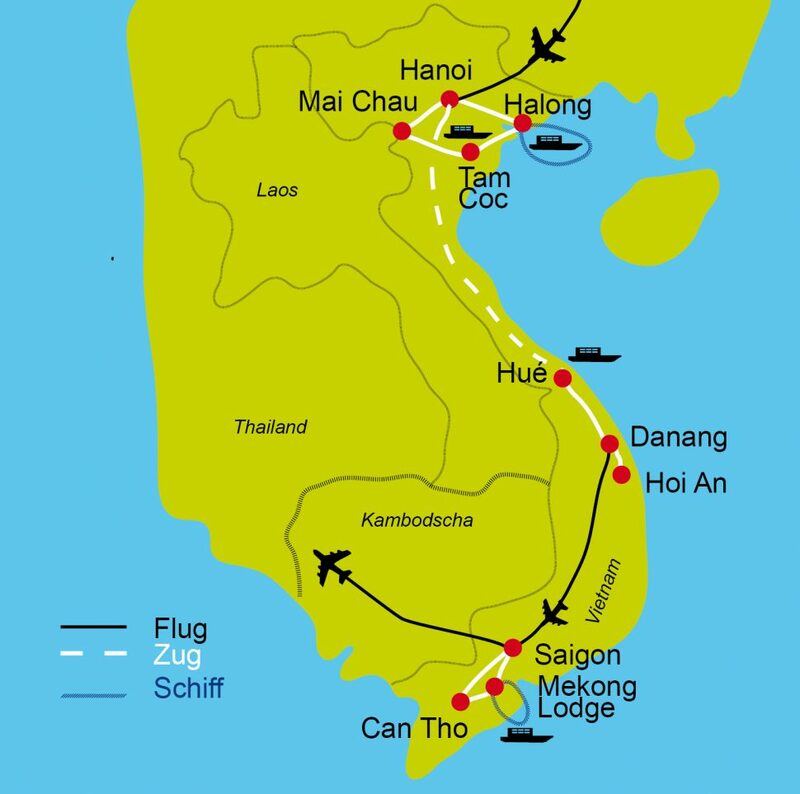 You will then be driven to Ha Long where the cycling circuit starts. Discovery of the provinces of the Red River Delta, in the heart of one of the most beautiful and lush landscapes of Vietnam. On the road in the Thai Binh province, you will ride to the Keo Pagoda on the banks of the Red River. The bell tower of the pagoda is a wooden masterpiece, representative of the architecture of Vietnam in the seventeenth century. 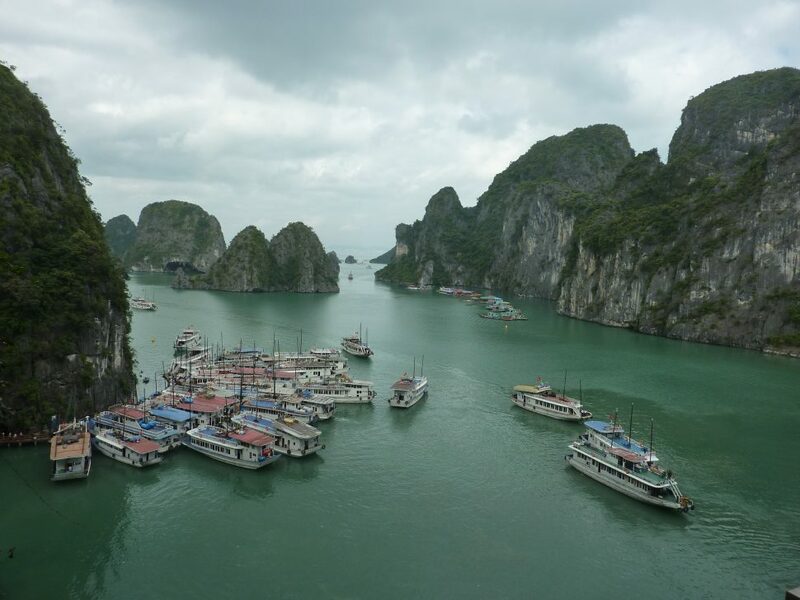 Arrival and overnight stay in Ha Long. After breakfast at the hotel, you will board private boats for a half-day cruise in Dragon Bay. Legend tells that the exceptional landscape of this bay is due to dragons, wonderful and beneficial beings in Vietnam, who would have descended into the sea to domesticate the marine currents. Struggling, he would have cut the mountain with his tail, and as the water level rose, only the highest peaks would have remained emerged. You will visit one of the most beautiful caves in the bay. Lunch of seafood and fresh fish. Back on the solid ground, you will be driven to Hanoi. Break en route and visit the village of Dong Trieu, noted for its handcraft production of pottery, ceramics and lacquers. You will then attend a puppet show on water. Overnight stay in Hanoi. Excursion into the city in the morning. Discover the charming Lake of the Restored Sword, where you will be told the legend of the turtle and the sword, dating from the 15th century. The visit continues with a trip to the Temple of Literature. Visit of Tran Quoc Pagoda and Quan Thanh Temple. In the afternoon, visit the Ethnographic Museum. In the evening you will board the Blue Train for a comfortable overnight trip to Hue. Arrival in Hue in the morning, transfer by bus to the hotel. Relaxing morning and then lunch in a local restaurant. Bike ride in the old imperial capital. Visit of the Forbidden Citadel, built following the same plan as the Forbidden City of Beijing. The architectural ensemble is registered with the patrimony of the Humanity since 1993. Back to the hotel by bike. This morning you will depart from the hotel by bike to visit the tomb of Emperor Tu Duc. After the visit, you drive to Thuy Bieu, an ancient village on the Perfume River, between the city of Hue and the tombs of Tu Duc and Minh Mang. The village is known for its high-quality grapefruit plantations that were offered to Kings and Royal Families. Walk around the village, during which you can admire the peaceful and beautiful landscapes of Hue: paddy fields, fruit trees, gardens and temples. View handmade incense production and discover the life and work of the farmers. Lunch at Thuy Bieu on the edge of the river. 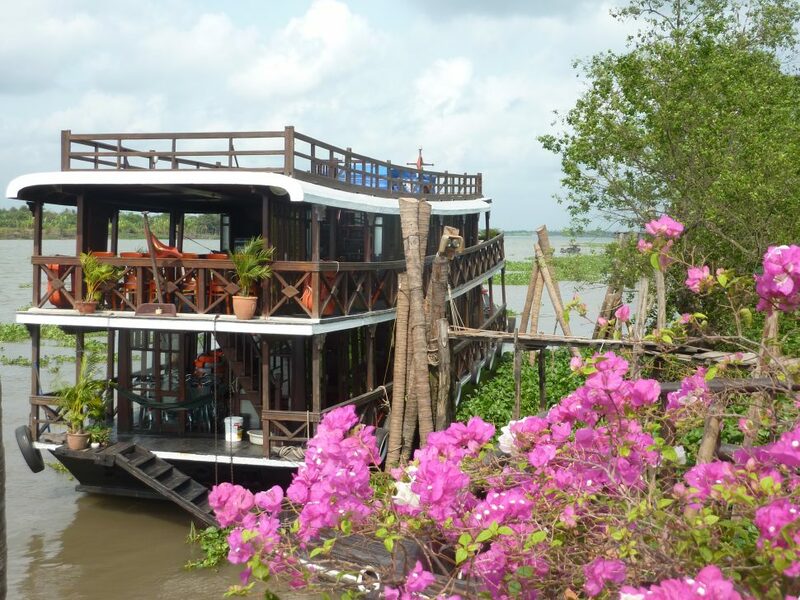 You will then embark aboard a boat for a calm cruise on the Perfume River. Visit the typical Thien Mu Pagoda which is the symbol of Hue. Return to the village by boat. Overnight stay in Hue. Depart from Hue by bus to reach Hoi An via the famous “Mandarine Route”. Above the “cloud pass”, you will enjoy a fantastic panoramic view of the city of Da Nang, its surroundings, and the beach below. Visit the Cham museum. Arrival in Hoi An in the afternoon. Free time. Night at the hotel. 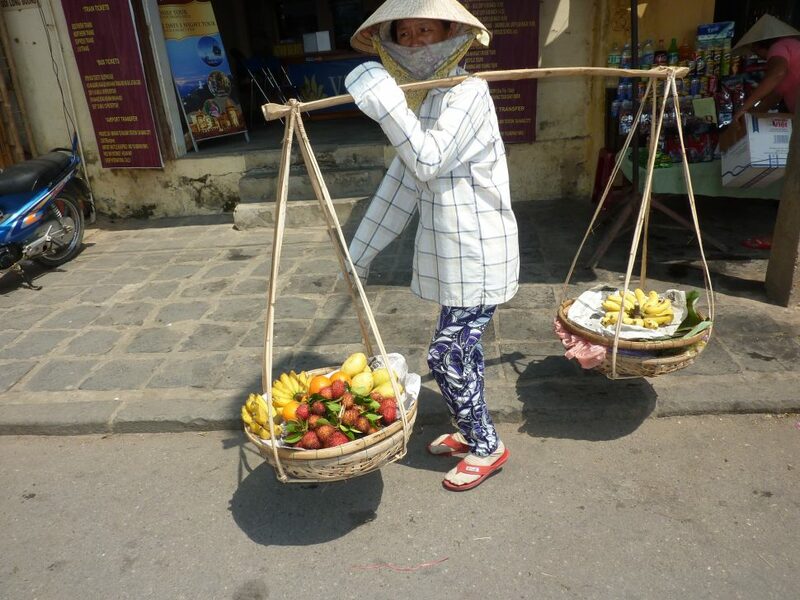 In the morning, visit the old town of Hoi An on foot. View the Old Japanese Covered Bridge, built by the Japanese community in the late sixteenth century to connect their neighborhood to the Chinese one on the other side. Visit the old house of Phuc Kien and opportunity to stroll through the local market. 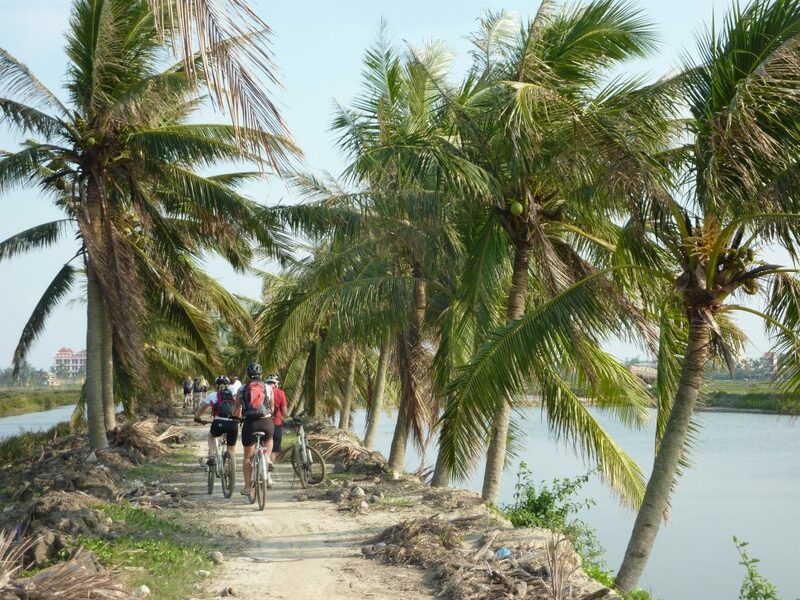 Afternoon dedicated to cycling in the Hoi An countryside with a relaxing break on the beach of Cua Dai, then back to the hotel. Free day. You can just relax on the beach or make an excursion in the surroundings. Transfer to the airport for a short flight to Saigon. Upon your arrival you can enjoy a guided tour of the city and its Central Post Office as well as Thien Hau Pagoda located in the heart of China Town. 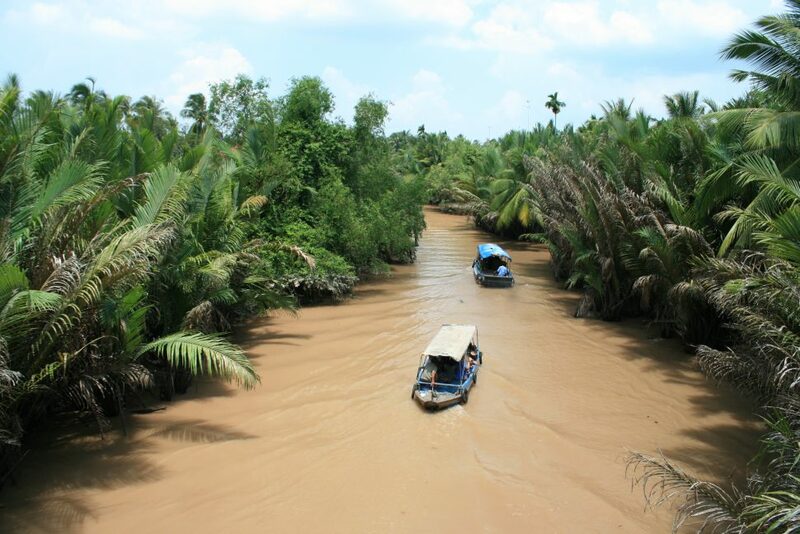 The bus will take you to the heart of the Mekong Delta, formed by 9 tributaries of the Mekong River also known as the “rice bowl” or “paradise garden” of Vietnam. Boarding at Cai Be for a cruise on the Mekong to the village of An Hoa. The landscape here is completely different from anything you’ve seen in Vietnam, but still captivating and exotic. 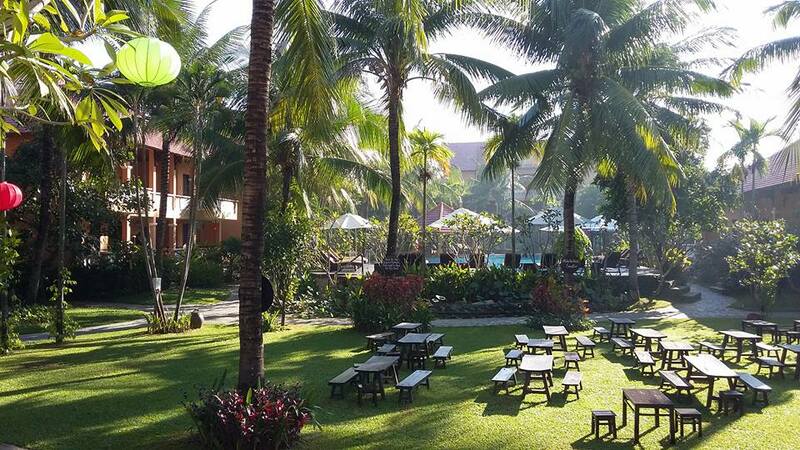 Arrival at the Mekong Lodge Hotel and departure in the afternoon to explore the orchards of Tan Phong Island, discovery of old houses and tasting different varieties of tropical fruits. Overnight stay at Mekong Lodge in Cai Be. Wake up to the sound of the floating market, one of the most fascinating in the Mekong Delta with hundreds of small boats jostling for space while the owners try to sell their goods. In the afternoon back on solid ground for a very pleasant bike ride on countryside roads. Discovery of the orchards and the activities of the inhabitants of the region, especially of the orange producers. After breakfast, the cruise continues and, in the afternoon, transfer in Saigon. Free time in the morning before the transfer to the airport in the afternoon. Easy and small stages, with asphalted secondary roads and non-asphalted agricultural roads. The visa fee (25,00US$), is not included in the price and must be paid on arrival. 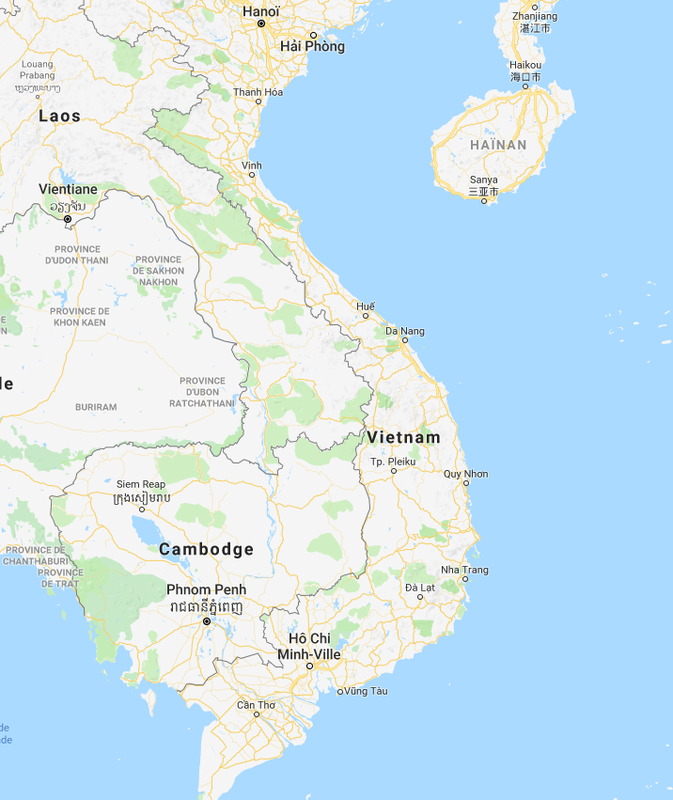 The weather in Vietnam can be very different on the south, north or center of the country. The best time to travel is from November to Mai, the temperatures are usually between 20 and 35°. Everything you need to know for this trip is described on our page " Useful and important information".